A unique, novelty Clock in a Can featuring my best selling design, The Irish Larder. 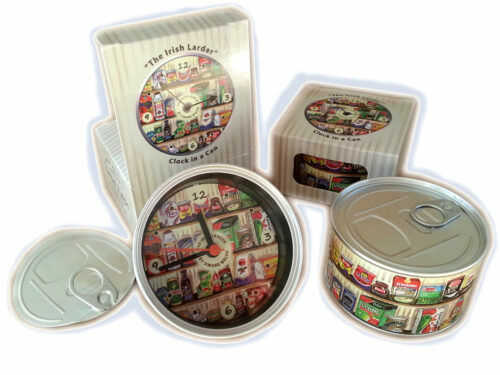 The tin can, measuring 8.5cm in diameter and 5cm in dept, has the Irish Larder printed on the outside. 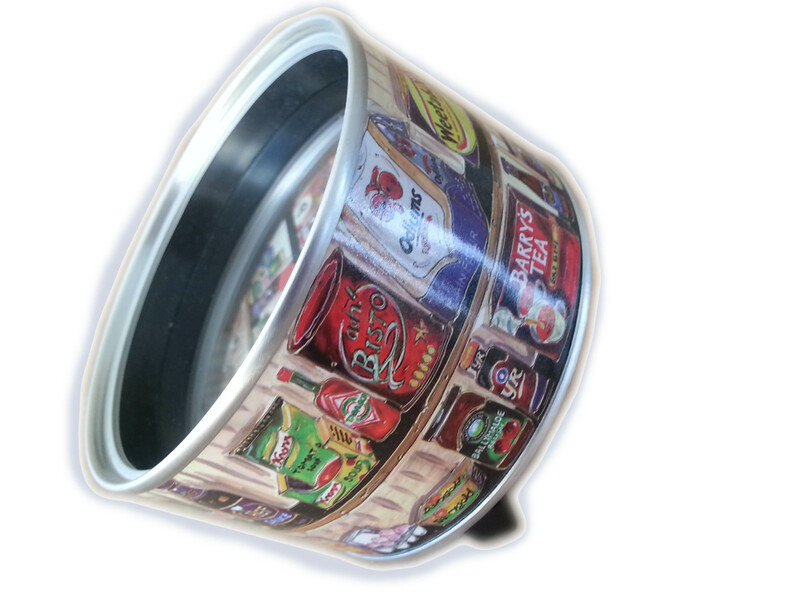 Pull the ring on the top of the can like a can of beans, and open. 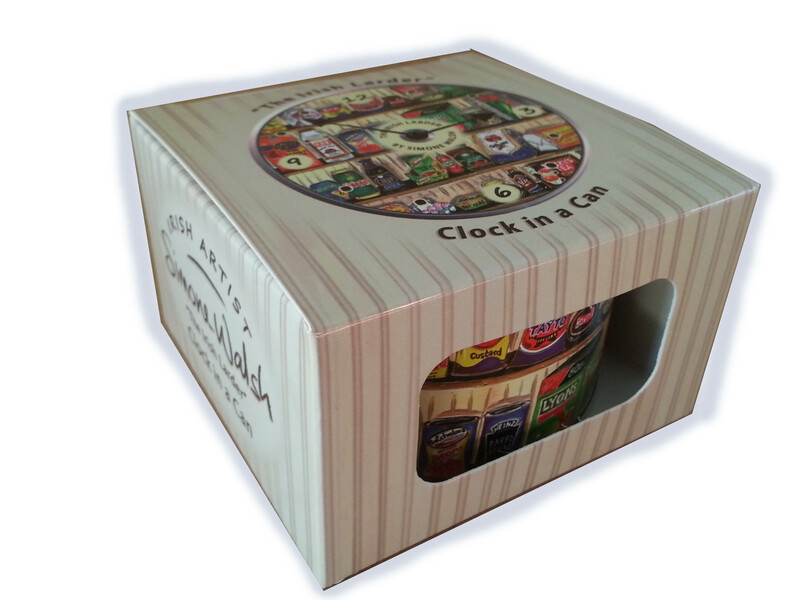 You are then looking into the Irish Larder and at the clock face. 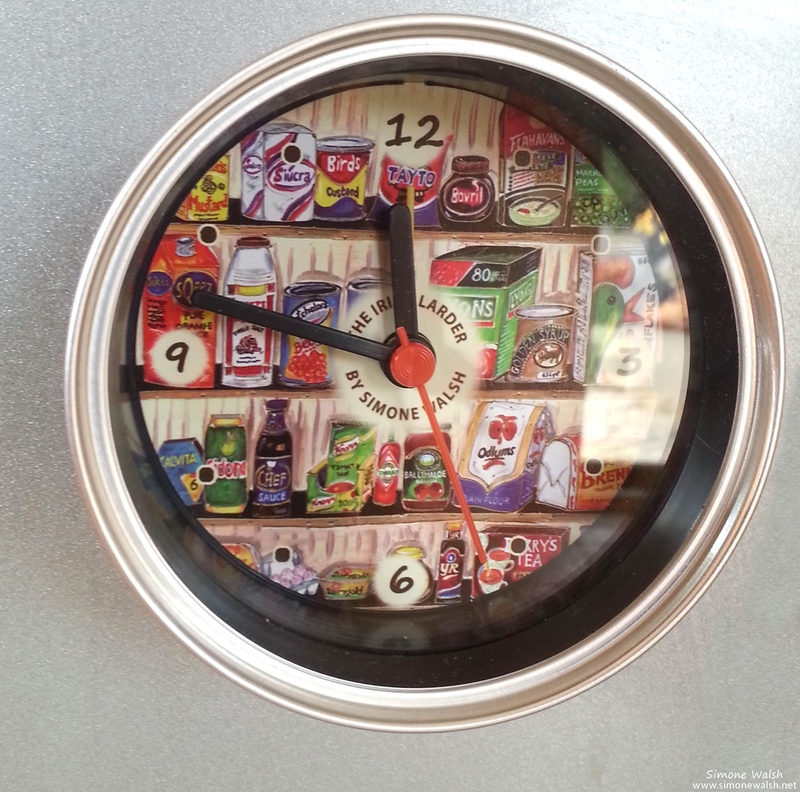 The clock features a second hand and an alarm. 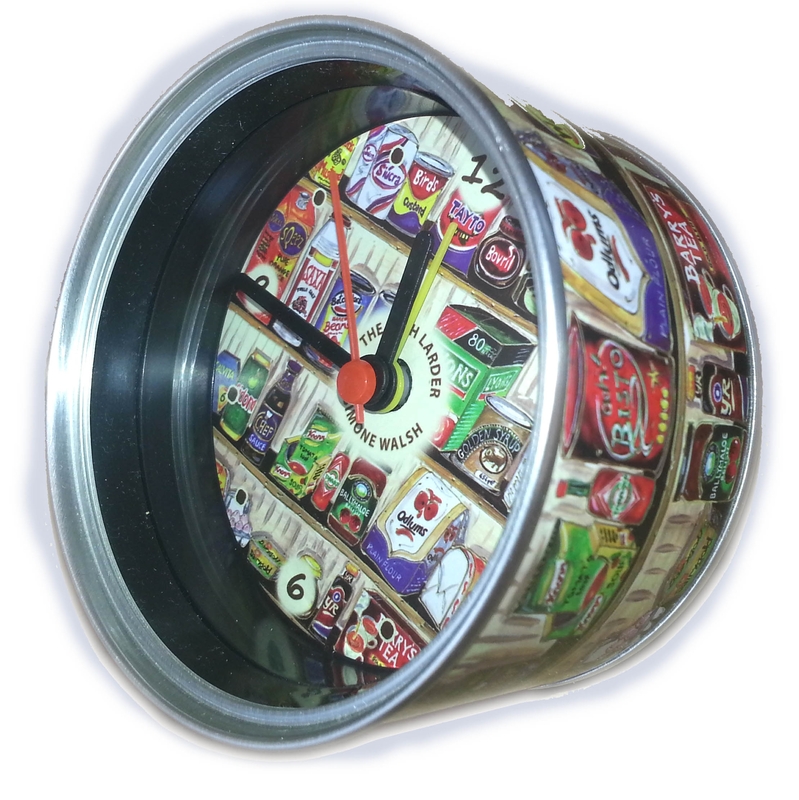 The back of the clock in a can has a pull out stand for standing on a table and also four magnets for sticking to your fridge!